NAM, alongside a large number of HIV organisations and campaigners, working together under the banner of ‘United4PrEP’, has expressed serious concern about delays to the long-awaited pre-exposure prophylaxis (PrEP) trial in England. Six months ago, in early December, NHS England announced it would be funding a PrEP trial for people at risk of HIV, giving 10,000 people access to the game-changing prevention treatment. However, over half a year has passed since then and the trial has not materialised. After much pressure to release a timeframe, the government announced this would happen “in the summer”. In the meantime, Scotland has announced it will make PrEP routinely available on the NHS for those at risk by July and Wales has announced plans to introduce a PrEP pilot by 17 July. England is falling behind. 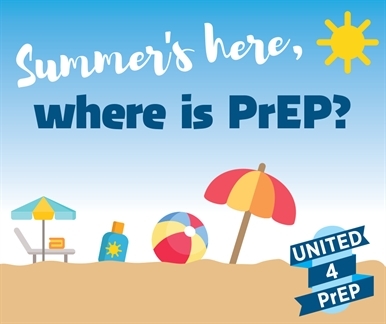 United4PrEP, a coalition of charities and individuals campaigning for PrEP to be made available, expressed doubt that the ‘summer’ deadline will be reached, and calling for more speed and transparency from NHS England and Public Health England. The United4PrEP coalition, which includes NAM said: “We are seriously concerned that NHS England and Public Health England are not fully committed to the PrEP trial that was promised over 6 months ago. They have repeatedly missed their own deadlines, and kept their plans vague so they cannot be held to account. “At first we were told the trial would be ‘early in the financial year’. Then, when that didn’t happen, we were told ‘the summer’. Now we’re well into June, and the long-awaited PrEP trial is now looking as elusive as the British summer itself. Now that summer has begun, the countdown is on. Members of United4PrEP, including NAM, are increasing the pressure on NHS England and Public Health England to get PrEP to those in need as a matter of urgency. Campaigners have taken to social media, using the hashtag #WhereisPrEP to make their point.